Traveling the world as a vegan has certainly challenged my ability to plan, be strategic, get creative, be open minded, and practice preparedness, which will continue to take some refining as time goes on. Depending on which country you’re in as a vegan, it will either be really easy to find vegan food or annoyingly repetitive due to lack of options (sometimes plain baguettes just have to do). 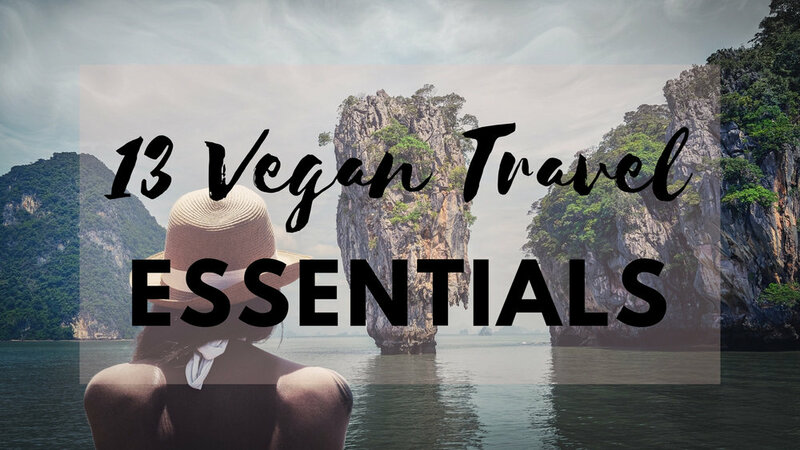 If you start your trip off with a few vegan travel essentials, you may find the journey to be a bit smoother for you when it comes time to eat, shop, or just plain exist. I’ll never leave home without it again. The amount of plastic forks, knives and spoons used on the fly during travel is appalling. SO much waste is created unnecessarily on flights, at rest stops, and when you’re getting take away food. Plus, if you find you’re stuck in a situation when there is no cutlery and you’ve finally just found a vegan meal after a long witch-hunt, you will not want to be without your own food utensils. Bamboo forks, knives, and spoons not only encourage minimal waste, but they are durable, compact, and aesthetically pleasing (for those who adore food photography). Aside from the fact that I’m totally, utterly obsessed with hot sauce, I highly recommend carting around a small bottle of your favorite flavor. When vegan food is hard to come by and you end up with plain steamed vegetables, you’ll want a touch of spice to kick it up a few notches. Lots of people out there don’t know what vegans can eat, so they slap together something random and offer it up to you in hopes it’ll make you happy. Keep that hot sauce nearby for desperate times and also every single meal if you’re me. Anyone else as in love with Frank’s, Sriracha, and Cholula as much as I am? You will never travel the same again once you discover this EPIC app. Happy Cow has been my saving grace every single town we’ve travelled. With easy options on the main menu to select “Veg-Options,” “Vegan,” or “Vegetarian,” you can see every restaurant or take out place in the area that has something for you. You can even look at a town or city in advance before you even arrive to see if there are places that will have a few vegan options or even a full vegan menu. We’ve found some incredible places through the Happy Cow app that we would’ve never known about on our own. I finally coughed up the money to get some quality vegan sunscreen. I picked one that is paraben free, oxybenzone free, phthalate free, PABA free, petrolatum free, SLS (sulfate) free, dye free, oil free, cruelty free, vegan friendly… and hot damn, the money is worth it! I highly recommend Australian Gold because it’s super light on your skin and you can rest easy knowing your skin isn’t absorbing crazy amounts of toxins normal sunscreen has. Biggest benefit: it’s reef friendly for the Nemo lovers out there. You may be wondering why this is a vegan recommendation, but there’s a solid reason for it. As we were travelling from place to place…city to city, eating out every night got expensive. It was unrealistic and unsustainable to buy food at restaurants for every meal. When we switched from Booking.com hotels to AirBnb homes, we were provided with kitchens where we could cook our own food for a fraction of the price. You can choose your price bracket as well as if you want just a single room or an entire place to yourself. The privacy of cooking in your own place is really nice while you’re traveling, especially if you miss a touch of “normality” while you’re on the road non-stop. This was one of the best things we brought with us on our ten-week trip around the world. Carrying a lightweight reusable shopping bag saved so much plastic and doubled as a day bag when we went to the beach. Get one that can fold up really tiny and weighs close to nothing. You’ll be amazed how many times you use it and how many unnecessary plastic bags get wasted on a regular basis. When you go to the travel section of your pharmacy, it’s pretty rare to find a brand of tiny toiletries that are vegan. Vegans still need to wash their face and moisturize while on the road, so grab a bundle of this travel kit from Pai and rest easy knowing you’ve got cruelty free face care in a carry-on size. At the end of a long day walking around ancient ruins, a busy market, or a tropical rainforest, your face will have absorbed tons of local microbes. Ready to just plop into bed at the end of the adventure, you’ll want something quick and easy that you can wipe the day away off your face. 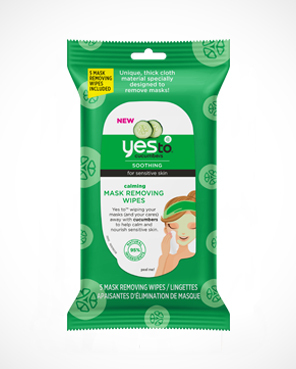 Without worrying about if you’re creating massive amounts of waste, get biodegradable, eco-friendy wipes both for your face and general usage. The amount of times I couldn’t find a bathroom to wash my hands was a plenty, so antibacterial wipes came in handy (no pun intended) more often than not. Traveling light for extended periods is the name of the game. Tons of luggage can be annoying and, if you’re backpacking, really weigh you down. Consider a minimalist approach when packing and try to carry things with multiple purposes. We found that my microfiber towel that I use when I go to yoga was not only a towel for drying, but a blanket to sit on, a cushion for electronics, and a pillow for our heavy heads. They’re light and dry really quickly, so it’s ideal for when you’ve used them to dry off after a shower or time at the beach. Back on the anti-plastic train, carrying a reusable water bottle saves from creating tons of waste and doesn’t allow for harmful plastic chemicals to infiltrate your water when you’ve left it sitting in the rental car on a hot, sunny day. Most restaurants will fill your bottle for you or you can find free water fountains in most museums, malls, and even public gardens. Staying hydrated when traveling is incredibly important, so carry a reusable water bottle everywhere you go and you’ll be in good shape. Walking around Pompeii, the Great Wall of China, or through a pineapple field, your feet will need some support and comfort for all of those miles/kilometers you’re doing. Once a pair of Tom’s are molded to my feet, I find I can walk on them for hours without feeling sore. Snag yourself a pair of vegan Tom’s and know you’re walking on cruelty-free clouds. Unless you speak every language, you’ll need a means to order vegan food when the local language spoken isn’t your native tongue. Finding vegan food isn’t impossible with minimal vocabulary, but an offline translation app will help you get the food you want with certainty. Miming is always fun, but I have yet to figure out how to mime the word vegan! What are your favorite vegan travel necessities? If there’s anything I’ve left off this list, let me know in the comments below.